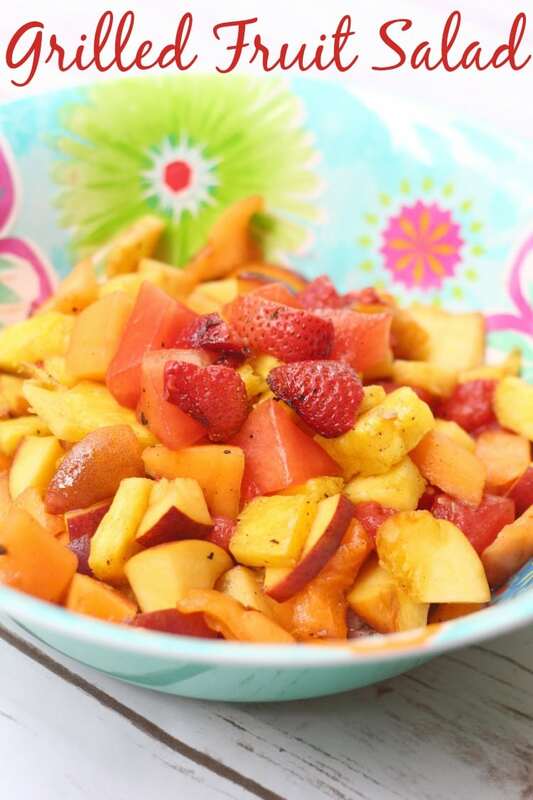 This grilled peach salad recipe is perfect year round! I really enjoy it during the summer but it’s just as tasty during the sprint, fall or winter months. I love how fresh it is and the peaches add just the right amount of sweetness. Oh and the champagne vinaigrette that goes on this salad is to die for! To prepare the vinaigrette, combine the first 6 ingredients in a non-reactive glass bowl and whisk to combine thoroughly. Season with salt and pepper to taste and set aside. Clean grill grates with a wire brush and then spray with a non-stick cooking spray. 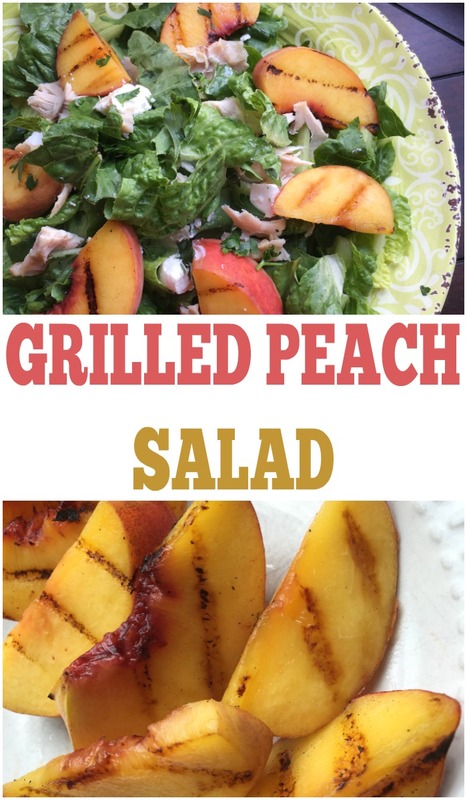 Grill peach wedges over medium direct heat for approximately 3 minutes per side. For best results, flip wedges only once while grilling. Remove from heat and set aside. Tear Romaine leaves into bite-sized chunks and place on 4 serving plates. 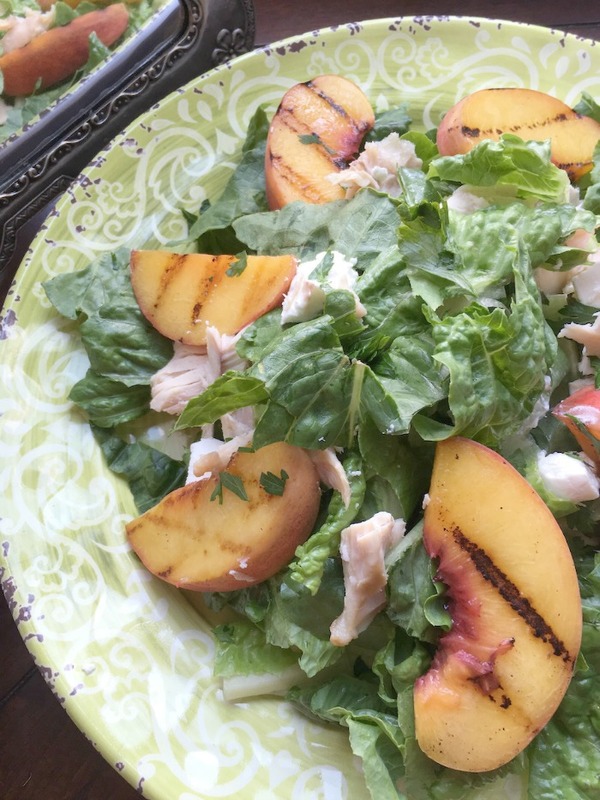 Divide grilled peaches, chicken, pecans, and goat cheese evenly among the plates. Drizzle each plate with champagne vinaigrette and serve. (If you prefer more evenly distributed dressing, toss the salad ingredients with the dressing in a large bowl prior to arranging on plates). 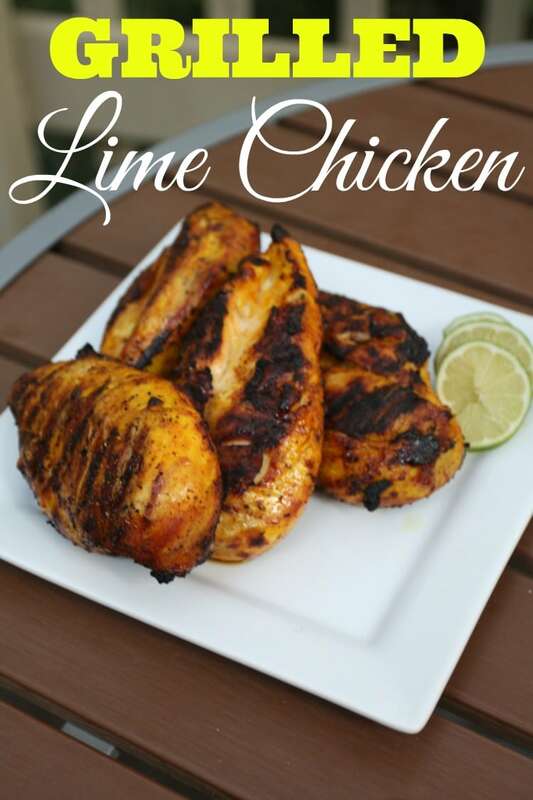 If you enjoyed this recipe, make sure to check out some of my other popular posts!